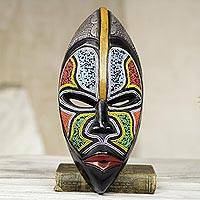 When I saw this fine mask I had to buy it for my daughter who went for a number of years to Africa with a medical mission group. 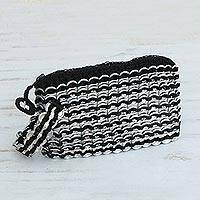 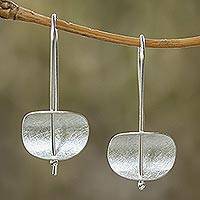 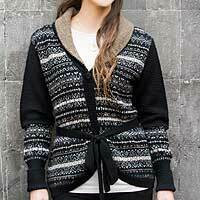 She loves it and expressed how great the quality is and the beading sets it off. 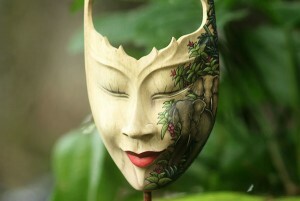 There is no mistake the mask is handmade. 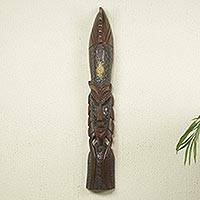 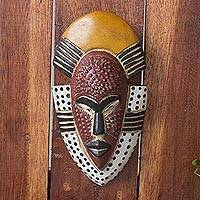 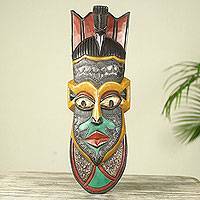 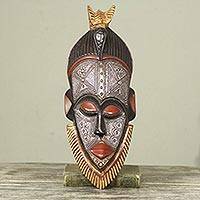 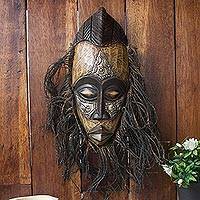 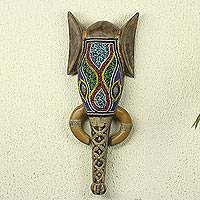 But, it also looks like it was created by an artist who knew what he was doing..
Hand Carved West African Wood Wall Mask from Ghana, "Ghana's Happiness"
Painted African Mask Handcrafted from Wood and Metal, "Hevi Vi"